ICANN’s final new gTLD auction rules did not incorporate any suggestions provided in the article below and recommended in the DotMusic’s submission to ICANN about how to ICANN auction rules can serve the global public interest by promoting competition, innovation and diversity. In short: ICANN Auctions will favor Applicants with the deepest pockets, such as Google or Amazon. The private auction scenario — offered as an alternative to ICANN auctions with a financial incentive that the final auction amount is split between the losers of the auction i.e. not paid out to ICANN– also benefits deep pocketed Applicants, especially gTLD portfolio Applicants. ICANN was seeking public comments on Auction Rules for its new gTLD program (https://www.icann.org/en/news/public-comment/new-gtld-auction-rules-17dec13-en.htm) based on the document prepared by Power Auctions (http://newgtlds.icann.org/en/applicants/auctions/rules-12dec13-en.pdf). ICANN’s goals with the new gTLD Program are focused on “enhancing competition and consumer choice, and enabling the benefits of innovation” (http://newgtlds.icann.org/en/about/program). According to the ICANN Applicant Guidebook, Module 4.3 Auction, (https://newgtlds.icann.org/en/applicants/agb/guidebook-full-04jun12-en.pdf), ICANN states that “it is expected that most cases of contention will be resolved by the community priority evaluation, or through voluntary agreement among the involved applicants” and that “In practice, ICANN expects that most contention cases will be resolved through other means before reaching the auction stage.” ICANN also clarifies that any monies derived from auction “funds must be used in a manner that supports directly ICANN’s Mission and Core Values and also allows ICANN to maintain its not-for profit status” (emphasis added). The auction mechanism prepared by Power Auctions LLC for ICANN fails to address these core issues and align its Auction Rules to the Applicant Guidebook and ICANN’s own Bylaws to promote competition, innovation and diversity. ICANN itself even agrees that ” auctions are not perfectly aligned with ICANN’s objectives” but have been chosen as an allocation method because other alternatives would have “have more severe limitations and defects” (ICANN, Economic Case for Auctions in New gTLDs, 8th August 2008, Pg.1). ICANN holds the power to adjust its auction rules to be consistent with its non-for profit status, its Mission and Core Values and to promote effective competition. ICANN should strongly consider aligning critical elements of its auction rules to level the playing field especially given the current status of the new gTLD Program which is dominated by Portfolio Applicants. For example, Google, Amazon and Donuts alone represent over 400 non-branded and generic gTLDs. If the current Auction Rules remain ICANN would be knowingly giving over control to the Internet’s most semantic gTLDs to a handful of corporations with billions of dollars in cash. In other words, smaller players without Amazon’s or Google’s luxury of having billions of dollars of cash are eliminated. ICANN’s expectations per the Applicant Guidebook (AGB) that “most” contention sets being resolved “voluntarily” or “through other means before reaching auction stage” have not been met. As such, the AGB own expectations have failed and as it stands favors a few “deep pocketed” players and more importantly puts in question ICANN’s role as a non-for profit organization by structuring the new gTLD Program and Auctions in a manner that maximizes profit for ICANN. This becomes a serious concern when public resources – such as semantic gTLDs – are given to a few, select companies who can afford to “buy” up the entire generic, non-branded gTLD space at the expense of other smaller players who could offer a more specialized, niche approach – such as community applicants serving their corresponding communities with registration policies and rules that cater to those entities without the fear of commoditizing gTLDs, which is the goal of many portfolio companies such as Donuts. This is more worrisome if one analyzes ICANN’s 2014 quarterly report (http://www.icann.org/en/about/financials/package-fy14-30sep13-en.pdf) which reveals that ICANN has only spent $119.2 million of its original $344.9 million new gTLD Program budget, leaving a substantial amount of monies on the table despite the new gTLD Initial Evaluation process – the most costly ICANN expense in relation to the new gTLD Program – being rendered complete. Furthermore, ICANN’s “risk reserve” of $108.9 million still remains unused despite no publicly-announced lawsuits against ICANN over its handling of new gTLD Program. Furthermore, ICANN’s adopted operating plan and budget for 2014 (http://www.icann.org/en/about/financials/adopted-opplan-budget-fy14-22aug13-en.pdf) completely ignores proceeds from auctions. This poses many unanswered questions on the issue of auctions and how they should be administered to promote ICANN’s Mission and Core Values and to ensure leveling the playing field and not make the entire new gTLD Program a space where the current Auction Rules only favor billion-dollar corporations or venture-capital-funded applicants with deep pockets. This completely ignores the context of the current new gTLD environment and how the Internet space is in danger of being divided amongst a few select players, many of whom have found ways to circumvent the process in relation to areas such as Background Checks, Objections in the form of Legal Rights Objections or Community Objections, Safeguards and other Material Changes, including NGPC Resolutions, new registry agreement revisions pertaining to exclusive-access, PICs (e.g Famous Four won .CHARITY over Donuts because of their PICs submission), Responses to GAC Category 2 Advice intending to change Applications from exclusive-access to non-exclusive access. As such, ICANN has not strictly followed the AGB and the global public interest should be considered while applying appropriate auction rules to promote competition and diversity. The fact that a handful of portfolio players are poised to dominate the non-branded gTLDs and generic gTLD space is worrisome given the lack of any cap restrictions or rules on restricting anti-competitive behavior. Such examples include Amazon’s attempt to apply for three music-themed gTLDs and synonyms – .MUSIC, .SONG and .TUNES – and close them off to its corresponding music community and not allowing anyone to register their names or Google’s attempt to control the video distribution by applying for .TUBE,.YOUTUBE, .MOVIE, .MOV, .FILM and .CHANNEL. It has also become clear that a core defensive application strategy of many multi-billion brands to defensively apply for a portfolio of non-branded gTLDs in fear that a direct competitor would apply for those gTLDs. This strategy is further amplified by the fact that no-one has yet to see most contention sets meeting the AGB’s expectations for “voluntary agreement among involved applicants” especially in cases relating to billion dollar companies such as Google or Amazon. What incentive does Google or Amazon have to cut any deal with any applicant(s) when they can literally buy the entire space with the billions of dollars of cash they have in their arsenal? The Auction Rules have done little to incentivize partnerships and ICANN’s role is constrained to “give time to applicants to negotiate amongst them”, according to a response given by the head of the new gTLD program in the public forum in Buenos Aires. The current Auctions Rules actually ensure the opposite to happen: a select few competing solely on financial power irrespective of any single Applicant’s innovative, niche and more focused approach. Rewarding a gTLD based on financial prowess alone is not aligned with ICANN’s non-for profit status and new gTLD objectives to promote competition, diversity, innovation and consumer choice. ICANN must adopt an effective auction methodology to resolve string contention with rules and procedures that are aligned and consistent with its Mission and Core Values to serve the global public interest and promote competition, innovation, diversity and consumer choice. The Auction Rules do little to promote competition and diversity. As it stands the highest bidder prevails. This favors Portfolio Applicants and multi-billion dollar corporations such as Google and Amazon. The current Auction Rules do nothing to incentivize “any “voluntary agreement among involved applicants” and partnerships. ICANN can investigate its own Program and agree that it has done little to facilitate this objective and failed to meet its AGB statement that ICANN “expects that most contention cases will be resolved through other means before reaching the auction stage.” This is why ICANN has to create appropriate mechanisms to accommodate “voluntary” partnerships to be consistent with their expectations for the new gTLD program to prevent oligopolization of the program by a select few who have no incentive to work with others and whose main incentive is power and preventing competitors from winning gTLDs at any cost. There is zero incentive for Google, Amazon or other deep-pocketed Applicants to make any deal since the alternative of “buying” gTLDs in an auction grants them more strategic power despite any negative consequences on competition and diversity. This is something that ICANN has to address in order to be aligned with its goals given the current status of the new gTLD program and the select few portfolio companies whose objective is to squash on smaller, more focused Applicants with diverse plans. Another overarching issue is some Applicants, such as Community Applicants, have applications with restrictive policies (e.g Eligibility Requirements, Name Selection, Content and Use, Enforcement). It is indisputable that Community Applicants can not compete in an auction with an Applicant with an “open” application since “open” Applications lack such restrictions. No-one can dismiss the fact that the ROI on “open” applications is much higher than that of “restricted” applications giving non-community Applicants a “near-definite” assurance to win an auction unless a Community Applicant bids higher that their expected ROI. This is evidenced if one observes the domain registration volume differences between restricted gTLDs (e.g .EDU, .PRO, .JOBS, .AERO, .MUSEUM) and “open” gTLDs (e.g .COM, .NET, .ORG, .INFO, .BIZ – Source: https://www.myicann.org/compliance/domain-count-by-tld). If Community Applicants choose to outbid non-community Applicants beyond their expected ROI, the unintended consequence would be the Community Applicant would face a certainty of registry failure since they would have spent all their monies which would otherwise be used for operations and marketing of the gTLD and given the restrictive nature of their gTLD would face an impossible feat in generating profits that would bring a positive ROI after over-bidding in the ICANN Auction. Also, the likelihood of luring investors would be crippled since no prudent investor would invest in a gTLD with restrictions that can not be changed to accomodate the recovery of the lost monies invested by over-bidding in the ICANN Auction beyond the Community Applicant’s expected ROI based on their “restricted” gTLD. This leads to the imbalance in the structure of ICANN new gTLD auctions since Community Applicants can not compete in the current ICANN Auction format since non-community Applications can afford to bid higher in an auction given that their “open” Application’s ROI is much higher. It is important to mention that ICANN’s AGB does not allow a Community Applicant to change their Application from “restricted” to “open” if they fail to meet community status in the CPE (Community Priority Evaluation) stage. Solution to Address Competition, Innovation and Diversity: Implement a “luxury” competitive balance tax on bidding. The size of the “luxury” bidding tax should be imposed according to the total number of uncontested strings each portfolio Applicant has and the number of strings awarded to the same Applicant after contention resolution (e.g. after a private auction). For example, Major League Baseball implements a luxury tax (also called a competitive balance tax), an arrangement in which teams whose total payroll exceeds a certain figure (determined annually) are taxed on the excess amount in order to discourage large market teams from having a substantially higher payroll than the rest of the league. The tax is paid to the league, which then puts the money into its industry-growth fund (Dietl, H., Lang, M. and Werner, S. (2010): “The Effect of Luxury Taxes on Competitive Balance, Club Profits, and Social Welfare in Sports Leagues”, http://www.isu.uzh.ch/static/ISU_WPS/91_ISU_full.pdf). According to studies by the Institutue for Strategy and Business Economics at the University of Zurich (Egon Franck (2010), “Private Firm, Public Corporation or Member’s Association – Governance Structures in European Football”, International Journal of Sport Finance, 5(2), 108-127, http://www.isu.uzh.ch/static/ISU_WPS/106_ISU_full.pdf) other alternatives could also serve the purpose of leveling the playing field. One example is incorporating revenue-sharing, a common mechanism in professional U.S sports leagues. Another approach is imposing a salary cap based on the size of the league average payroll. Studies have shown that imposing a luxury tax increases competitive balance, especially if tax proceeds are distributed evenly between teams.By ensuring a healthy degree of parity between teams, games are more exciting for the fans and not a foregone conclusion. Sports leagues that have adopted caps because they believe letting richer teams accumulate talent affects the quality of the sporting product they want to sell. If only a handful of dominant teams are able to win consistently and challenge for the championship, many of the contests will be blowouts by the superior team, reducing the sport’s attractiveness for fans at the live events and viewers on television. ICANN’s Bylaws clearly highlight the need for implementing rules to foster competition, diversity and innovation and should follow in the footsteps of other popular and highly successful non-for profits such as the National Football League (NFL). ICANN is formally organized as a non-profit corporation “for charitable and public purposes” under the California Nonprofit Public Benefit Corporation Law. ICANN was created in 1998 to oversee a number of Internet-related tasks previously performed directly on behalf of the U.S. government by other organizations, notably the Internet Assigned Numbers Authority (IANA). Before the establishment of ICANN, the United States controlled the Domain Name System (DNS) of the Internet. ICANN could learn insightful lessons from non-for profits such as the NFL on how to make a League (or in ICANN’s case the DNS) highly successful in relation to competition as mandated by its Bylaws. The NFL has a remarkable track record: they are the most successful sports league in the world with nearly $10 billion of revenues in 2012. Furthermore, NFL teams are on average the most lucrative and highly valued sports teams in the world. The average worth of a NFL team is $1.17 billion while in contrast the world’s top 20 soccer teams have a mean value of $968 million.As a non-for profit organization the NFL implemented the NFL Draft to increase diversity, innovation and competition between NFL teams. In the NFL Draft, the draft order in the NFL is determined in a reverse-record order (the previous season’s worst team picking first, the Super Bowl winner picking last).Other leagues followed suit. In the AFL Draft, clubs receive picks based on the position in which they finish on the ladder. Therefore, the teams that finish at the bottom of the AFL ladder will get the first draft picks. Also, any team that finishes in a low ladder position for consecutive seasons will receive priority picks. The National Hockey League (NHL), another non-for profit organization, implemented the NHL Draft, which allowed all 14 teams that failed to qualify for the playoffs take part in a weighted lottery with the winner moving up as much as four draft positions and no drop more than one draft position.In the NBA Draft, instead of automatically granting the top pick to the worst team from the year before, the NBA holds a draft lottery to determine who chooses first. The top three picks are allocated by chance among the 14 teams that did not make the playoffs the year before. This discourages a team from losing on purpose to get a better draft pick.In the AFL Draft, clubs receive picks based on the position in which they finish on the ladder. Therefore, the teams that finish at the bottom of the AFL ladder will get the first draft picks. Also, any team that finishes in a low ladder position for consecutive seasons will receive priority picks. On average, the draft clearly matters; higher draft choices raise winning percentages significantly over time. The rookie draft tends to promote competitive balance. Further, relative success in the draft is correlated with on-the-field success (pg. 298). Spectrum caps have been introduced in several countries at various times as one ex ante means to implement competition policy in mobile communications markets. They have been applied to help ensure that no single mobile operator, or a very small number, can acquire all or almost all spectrum on offer either at the time of initial spectrum awards or in subsequent mergers of, or deals between operators. The goal is to prevent operators from gaining positions through large holdings of a scarce resource, i.e. spectrum, which they might then exploit anti-competitively so as to cause market failures with deleterious effects for customers and overall economic welfare (pg.1).Overall spectrum caps were introduced in the 1990s in several countries, notably in the Americas, to help ensure the development of effective competition in mobile markets. They limited and in some countries still limit the amount of spectrum any one operator can hold in order to ensure that several operators can enter the market, since no single operator or even a duopoly can acquire all the bandwidth that is made available at the time of awards, thereby precluding entry by other competitors (pg.3). Auctions have become the preferred method of assigning spectrum. The FCC auctions have shown that using an auction to allocate scarce resources is far superior to the prior methods: comparative hearings and lotteries. With a well-designed auction, there is a strong tendency for the licenses to go to the parties that value them the most, and the Treasury obtains much-needed revenues in the process. Overall, the auctions have been a tremendous success, putting essential spectrum in the hands of those best able to use it. The auctions have fostered innovation and competition in wireless communication services. Taxpayers, companies, and especially consumers have benefited from the auctions.To promote competition under the Spectrum Cap, a firm is limited in the quantity of spectrum it can hold in any market. For example in US auctions, firms can hold no more than 45 MHz of broadband spectrum in any area, assuring that there are at least five broadband wireless competitors in each market (pg.10).A spectrum cap is a direct method of limiting the concentration of spectrum for a particular type of service in a particular area. Its advantage is that it is a bright-line test that is easy to enforce, both before and after the auction. In the US, it has played a critical role in ensuring that there are many competitors for mobile wireless services in each market. This competition has led to clear gains for consumers (pg 30).Typically, spectrum caps lower auction revenues, but there is one important exception. In situations where incumbent bidders have an advantage, a spectrum cap may actually increase revenues and promote efficiency. In such a situation without a spectrum cap, non-incumbents may be unwilling to participate in the auction, knowing that the incumbents will ultimately win. As a result, in the auction without the cap only the incumbents show up, there is a lack of competition, and the incumbents split the licenses up among themselves. With the cap, the non-incumbents know that non-incumbents will win licenses, giving them an incentive and the ability to win (pg.31). Ofcom, the UK communications regulator, decided to impose different competition measures to address distinct competition concerns: (a) Spectrum floors, an innovative competition measure providing the flexible reservation of spectrum for new entrants or the smallest incumbent, to promote downstream mobile competition between at least 4 national mobile competitors (pg.3)Caps place a limit on the maximum amount of spectrum any mobile operator can acquire. Set aside is spectrum for which only a defined class of bidder can compete, such as small incumbents or new entrants. Such competition measures can be characterized as providing a remedy to the risk of market failure, i.e. that small incumbents or new entrants fail to acquire the spectrum which they need to be effective competitors so that the market mechanism of the auction fails by resulting in a weakening of downstream competition to the detriment of consumers (pg.3). This is the great deficiency of an unrestricted auction when incumbents have rents to protect. Symmetric auctions among asymmetric bidders are prone to inefficient outcomes because the interests of consumers are not directly represented in the auction – the responsibility to promote consumers’ interests resides with the FCC and the Division [i.e. the US sector regulator and competition authority] when they consider the rules of the auction and the awarding of licenses in the public interest. Both those decisions will inevitably shape the structure of the industry far into the future.This is why, in major spectrum auctions, selling to the highest bidder may adversely affect output efficiency through weakening downstream competition. So the regulator should consider whether and what competition measures should be imposed in the auction to promote competition (pg.7).The rationale for spectrum floors, therefore, is that they provide a flexible remedy and alleviate regulatory failure when imposing competition measures to address the identified risks of market failure (pg.12). Spectrum is an essential input. The more spectrum allocated to wireless services, the more competition can be sustained. (pg.S187).Spectrum auctions provide a fast and effective means of assigning spectrum to wireless operators. We believe that the primary objective of these auctions should be efficiency—putting the spectrum in the hands of those best able to use it—not raising revenue. Efficient auctions raise substantial revenues, and focusing more on revenues likely distorts the outcome away from social welfare maximization (pg.S187). Auction rules with spectrum caps avoid costs, delays, and distortions in spectrum allocation that would result from relying on post-auction case-by-case review (pg.19).If the incumbent can limit competition from excluded rivals by acquiring a spectrum block at auction, the value it will place on that spectrum will include its market power benefit, and will therefore exceed the social value of the spectrum acquisition (pg.3).In consequence, these firms may outbid rivals and succeed in obtaining or maintaining market power in downstream services, when that would not be the best outcome for consumers or society as a whole. Spectrum policies, such as auction rules that incorporate spectrum ownership caps, can limit or prevent such competitive distortions (pg.4). [A]n auction that awards the spectrum to bidders with the highest values may not assure economic efficiency because the bidders’ private values for the spectrum may differ from social values as a result of market structure issues. For example, an incumbent will include in its private value not only its use value of the spectrum but also the value of keeping the spectrum from a competitor. The goal in assigning licenses to any such new spectrum designated for commercial services should be to ensure that it generates the greatest ultimate benefits to the consumers of those services. When market power is not an issue, the best way to pursue this goal in allocating new resources is typically to auction them off, on the theory that the highest bidder, i.e., the one with the highest private value, will also generate the greatest benefits to consumers. But that approach can go wrong in the presence of strong wireline or wireless incumbents, since the private value for incumbents in a given locale includes not only the revenue from use of the spectrum but also any benefits gained by preventing rivals from eroding the incumbents’ existing businesses. The latter might be called ‘foreclosure value’ as distinct from ‘use value.’ The total private value of spectrum to any given provider is the sum of these two types of value. However, the ‘foreclosure value’ does not reflect consumer value; to the contrary, it represents the private value of forestalling entry that threatens to inject additional competition into the market. In an established oligopoly with large margins between the price and the incremental cost of existing broadband services, the foreclosure value for incumbents in a given locale could be very high” (pg.4). Spectrum is a scarce resource and a key input for mobile wireless services. The Commission has an opportunity through its policies on spectrum holdings to preserve and promote competition and to ensure that the largest firms do not foreclose other rivals from access to low-frequency spectrum that would allow them to improve their coverage and make them stronger, more aggressive competitors (pg.18). The first issue is one of speed and timing. As ICANN’s Bylaws state ICANN has to “act with a speed that is responsive to the needs of the Internet.” The current Auction Rules as proposed by Power Auctions are time-consuming, complicated and are Rules that would benefit profit maximization (which is not aligned with ICANN’s non-for profit status) since it encourages bidding wars. Furthermore it only benefits portfolio applicants since they can afford “bidding wars” and do not have any timing issues since they already have won uncontested gTLDs with the proceeds of their SLD sales, they can bid on future auctions and can afford to wait. The Auction Rules now allow for the resolution of 20 contention sets per month. Given all the delays that have occurred in the new gTLD Program to date, single or community applicants with late priority draw numbers risk not proceeding to auction until 2015. 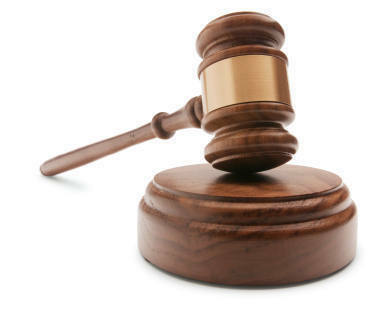 The Auction Rules should incorporate Sealed Bid rules similar to what private auctioneer RightOfTheDot proposes. Perhaps Power Auctions and ICANN should work with RightOfTheDot given their domain expertise in the Sealed-Bid domain auction arena. According to evidence pertaining to the use of particular auctions mechanism, the current ascending clock auction selected by Power Auctions puts ICANN’s status as a non-for profit in question and increases ICANN’s liability. Based on empirical evidence by auction pioneer Peter Cramton (http://cramton.umd.edu/econ415/auction-design-and-strategy.pdf), an ascending bid auction is one that maximizes profits (Page 35). ICANN’s goals are not revenue maximization (emphasis added). It also creates a situation of an inferiority complex that would create unnecessary bidding wars (“If its worth $x to them, why isn’t it worth that much to us?”). A sealed bid on the other hand is a safer, simpler, more efficient and timely choice for ICANN.According to Cramton the benefits of sealed bid auctions is “risk aversion” (Page 36). In other words, less liability for both ICANN and Applicants and prevents bidding wars. Also it leaves more money on the table which could be used by winning registries for operations or marketing rather than enrich ICANN. Cramton calls leaving money on the table “risky” from a revenue maximization perspective. However ICANN’s goals are not profit maximization. While private auctions by Innovative Auctions are based on “profit maximization” and “expanding the pie for losers”, the ICANN auctions have a different goal in mind. Solution to Address Timing , Efficiency and ICANN Liability: A Second-Price Sealed-Bid auction is where the highest bidder wins the rights to the gTLD while paying the second-highest bid. If you are a Portfolio Applicant an appropriate luxury competitive balance tax would be incorporated depending on Portfolio Applicant’s total number of uncontested strings and contested strings resolved. Non-Portfolio Applicants can win over Portfolio Applicants just as long as they bid higher than the Portfolio Applicant’s bid without considering the Portfolio Applicant’s luxury competitive balance tax. The simplicity of the Second Price Sealed-Bid auction with a luxury competitive tax is that it accommodates the possibility for maximizing resolution for significantly more contention sets, increase competition and diversity as well as to resolve the timing issue that unfairly burdens single gTLD Applicants (especially those with high lottery numbers) under the current Auction rules. Another issue that is not tackled in the Auction Rules is how auction monies will be used by ICANN and how it negatively affects losers of a gTLD in a contention set. This would be an area all new gTLD Applicants would unanimously agree too. ICANN clarifies that any use of proceeds derived from auction “funds must be used in a manner that supports directly ICANN’s Mission and Core Values and also allows ICANN to maintain its not-for profit status.” The most effective and relevant manner to use ICANN auction proceeds is to increase awareness of new gTLDs through diverse channels of promotion and activites focused on benefitting the new gTLD Program and new registries, especially in the cases where registries have spent a significant portion of their funds to win an auction and are left with significantly less funds to be used to market their new gTLD and its operations. ICANN should implement Auction Rules that are consistent with its Bylaws, its non-for profit status and the Objectives of the new gTLD Program and the AGB to promote competition, diversity, innovation and consumer choice. Auctions should be simple to understand and quick to implement and not favor portfolio Applicants who can afford to lose in private auctions (since the contention losers split the final auction amount plus receive a 20% application refund of $37,000 from ICANN) in order to enrich themselves in preparation of ICANN auctions (where losers only receive a 20% application refund of $37,000 from ICANN). It is clear that community-based Applicants who have restricted applications can not economically justify outbidding “open” Applicants who have a higher ROI since their “open” registration model generates more registrations and greater profit. For example, according to ICANN’s gTLD domain counts, the restricted .JOBS and .PRO gTLDs have a registration volume of about 50,000 and 150,000 respectively, while the open .INFO and .BIZ gTLDs have about 6 million and 2 million registrations respectively. Nearly all community-based Applicants have applied for only one gTLD and can not hedge their bets with other gTLDs. Furthermore, they run a serious risk of failure if they decide to overbid to win over an “open” Applicant since they would be unable to recover those monies. According to the AGB, Applicants are not allowed to “loosen” registration policies to spur an increase of domain registrations to merely attempt to break-even after a financially-devastating auction. The best way forward for ICANN to meets its goals with the new gTLD Program is to level the playing field to increase competition and diversity as well as to incentivize partnerships while limiting bidding wars that only Portfolio Applicants can afford. To accomplish these objectives, ICANN should incorporate a “luxury” competitive balance tax on bidding for Portfolio Applicants according to the total number of uncontested strings Portfolio Applicants have plus the total number of strings Portfolio Applicants have won by resolving contention sets. Another approach could be adopting a coefficient multiplier to assess and ‘rank’ applications for certain contested strings as suggested by NCC Group in their ICANN auction public comments. Secondly, the most time-efficient and simple auction mechanism for ICANN to implement, which would also prevent the liability of ICANN revenue maximization, is the Second-Price Sealed-Bid auction with luxury competitive balance tax incorporated where the highest bidder wins the rights to the gTLD by paying the second-highest bid while considering luxury competitive taxes imposed on Portfolio Applicant bids to level the playing field. Implementing an ascending clock auction is risker and creates liability problems for ICANN because that auction type’s main purpose is profit maximization which is contrary to ICANN’s non-for profit status. Sealed-Bid auctions benefit the new gTLD Program as a whole since it leaves more money on the table for Applicants to be used for marketing and operations. Also it does not maximize revenues for ICANN nor does it completely drain smaller Applicants of much-needed monies or unfairly harm community applicants who have restrictive policies and can not compete with “open” applicants in an auction since community-based applications’ ROI is lower than that of “open” applications. If ICANN adopted auction policies using other established templates as benchmarks for success then they would serve the global public interest and level the playing field. Such examplars for success include (i) a luxury competitive balance tax similar to those incorporated by successful sports leagues, such as the NBA, (ii) a weight-based allocation mechanism similar to the sports draft in the NFL (the world’s most successful non-for profit organization), and (iii) a cap-based auction mechanism similar to various successful spectrum cap auctions.